So, I had to get creative and figure out a way to Unplug for my own sanity for smaller chunks of my day rather than stopping cold turkey. I also needed a way to clear my mind of all the thoughts, ideas & information I had floating around. However, I didn't just want to forget it all either. 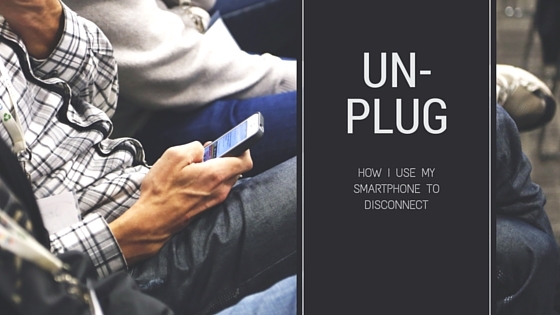 Here are the 4 steps I took to unplug and clear the mind clutter but stay connected while organizing my thoughts and eliminating brain overload. 1. Move things around: First I moved all of my social media icons off of my main screen. It is so easy to open up your phone and just start clicking away. Especially when you see that little bubble with the number of notifications. It's too tempting to just just click on it and get lost in the rabbit hole of updates. Start moving them! 2. Block some stuff: I went to my settings and turned on my block feature. For iPhone it's "do not disturb" and on my android its the "blocking mode". I did make exceptions so that my important family and friends can still reach me. I set the block for a specific time of the day. For me my most wasteful time is first thing when I wake up. I used to open my eyes see the notifications and pickup my phone and off to FB and IG I went. However, I wanted to spend more time studying and meditating and less time scrolling through my FB or IG feed. I have all notifications blocked between 6am and 9am. It has been such an easy fix to eliminating my morning time wasters. 3. Remind yourself: Alarms are the bomb. Other than my basic wake-up alarm I didn’t really have any set. So now I have several. Before you read the different alerts I have setup please note that I know it seems like a lot. I promise it is so helpful in keeping me focused throughout my day. Once they are set that's it, make them recurring. I allow myself time throughout the day to check my social media platforms a reward for getting my to do list done..
4. Think out Loud: As long as I have used a cell phone they have always had the voice recorder built in. I have never found a real use for them but OMG it is essential to staying organized and to filter out your thoughts without forgetting everything. Whenever I cannot right down an idea or thought, which usually happens in the car driving alone, I grab my phone double tap my home button and say "record voice memo" and it takes me straight to my voice recorder and it starts the recording for me. I talk and talk about all my ideas, thoughts, to do list, etc.. The best part is that people just think you are talking on the phone, lol. I promise you if you just try it for a week, it will help you so much. It saves my brain from going into overload and helps me remember essential things. I always change the recording title once I am home so I can easily find them later. That's it for now, until I think of more ways to organize and unplug! I really hope these tips are helpful! Please share your experiences. Will you try any of these, have you tried any of these? What other tips do you suggest?